Fault identification plays a fundamental role in reducing maintenance costs and off-line time of industrial rotating machinery. 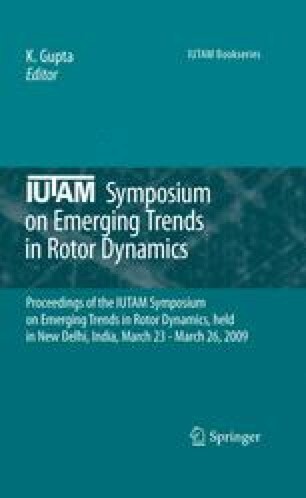 In the past years the authors developed methods for fault identification of rotating machines. This paper summarizes this experience and introduces the necessary theory in the first part. A model based method in the frequency domain is briefly described and identification algorithms are presented, including also robust estimate. The last section of the paper is devoted to the presentation of some case histories of industrial machines, affected by common faults like unbalances, misalignment, rotor-to-stator rub and bow.